We are happy to introduce our first animoog presets collection consisting of 22 really beautiful and non static sounds. You will find pads, basses, leads, drones, soundscapes, EFX, and plucked sounds. Most of them make use of mod wheel, pitch bend and aftertouch, so every sound has lots of modulations to offer to make your music sound even more dynamic. With your purchase, we include instructions for importing presets to animoog via iTunes. 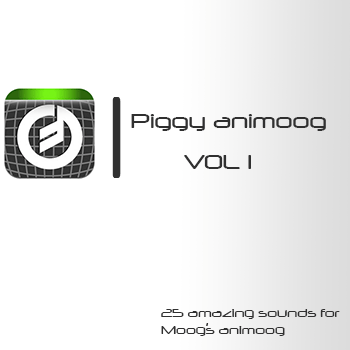 Please, listen to a demo made using only Piggy Animoog Presets Vol I sounds. No external processing or effects applied.